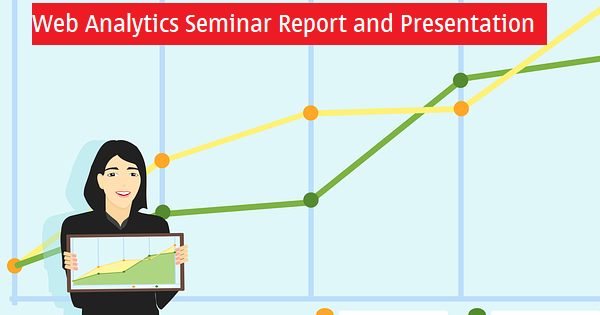 The seminar reports cover all the basics of web analytics. According to the Web Analytics Association, the official definition of Web Analytics is: “The measurement, collection, analysis, and reporting of Internet data for the purposes of understanding and optimizing Web usage”. Web Analytics is an imperative technique for all those that run their business online. To create this seminar report a literature review approach, searching for papers using Google Scholar on keywords like Web Analytics and Web Tracking was used. The authors considered 36 papers based on the titles, and after reading the abstract and conclusion for these papers and comparing the results based on the relevance to the topic and the scope of the papers we selected 5 papers to be used for this report and presentation. In addition, authors were granted access from a software company which chooses to stay anonymous, to their Google Analytics account that is used for the purpose of monitoring their website. And from that account, they were able to provide some screenshots to the Google Analytics software. In addition, we used Google to search the web for extra clarification and definitions in some cases. Therefore this seminar report is entirely based on these references and doesn’t try to introduce any novel ideas. The last section of the seminar report talks about future trends in analytics are based on personal observations and opinions of industry trends and experts. The seminar presentation, ppt on web analytics focuses on the following topics in brief. What is web analytics? What type of data can be collected from web site visits? How can this data be collected? What are the potential problems with collecting data? What analysis can be done on this data? Download documents for seminar report and presentation.